Family-friendly tapas restaurant Bobo Pulpín, near the cathedral in Barcelona’s Gothic Quarter, puts octopus in prime position but offers something for everyone. With apologies to Dickens, this is a tale of two densities. Traditional Spanish tapas dishes are typically heavy. There’s a lot of deep frying involved in many classics: croquetas, chipirones, patatas bravas and pimientos del Padrón. When you go to a pulpería (octopus bar) you expect a menu of unyielding heftiness. But before me in Bobo Pulpín were dishes of of outstanding freshness and lightness, alongside their delicious but caloric counterparts. What was going in? And would it work? Let’s take a step back to the basics. Bobo Pulpín is a new venture from the Iglesias brothers, the people behind perhaps Barcelona’s best seafood restaurant Rías de Galicia and its superb spin-off Espai Kru. They’re also the partners of the Adrià clan in the BarriAdrià project that’s scooping up Michelín stars galore in Poble Sec at restaurants like Hoja Santa, Pakta and Tickets. They know what they’re doing. Bobo Pulpín is in a large but divided two-room space that’s been empty for over a decade despite its prime location facing Barcelona’s cathedral (albeit the back wall). It’s been designed around a concept, a tentacled pirate captain called, of course, Bobo Pulpín (which more-or-less translates as the daft octopus) whose cartoon presence is everywhere, giving the bar a very family-oriented feel. There are stuffed Bobo toys and mugs for sale (raising money for charity) and a giant map with photos of the silly cephalopod around the world. There are pictures to colour in and it is somewhere I’d be very happy to bring my kids. But despite the concessions to kids, most clients when I visited were well-heeled local grown-ups. They weren’t there for the cartoons, but for the food. The tapas menu starts with a big section of healthy, fresh dishes including vegetarian and vegan options. This is rare in Spain, and welcome. There are also healthy drinks, including juices and consommés. Health-be-damned diners need not worry: classic tapas are all available too, as are some more creative tapas, a selection to fer vermut, and a selection of seafood snacks. In prime position are, however, the octopus dishes, served five ways to reflect the gastronomy of different countries. Prices? Not abusive, not cheap. Drinks are relative bargains; good Galician house white is just €13.50 a bottle (€2.50 a glass) and the beer is pulled fresh from gleaming stainless steel barrels instead of horribly overfizzed. Some of the tapas, however, are pricy. €4.60 for patatas bravas? €5.60 for pimientos del Padrón? That’s expensive, regardless of quality. Other dishes are typical Barcelona gastrobar prices. The quality across the board is excellent: you get what you pay for. Expect to spend €30-€40 per person for a full meal, although you can snack for a lot less. Full disclosure: I was there on a review trip so I got smaller portions in order to try more dishes. Thin, tender pork belly slices marinated in adobo (apparently the same as at La Manteca in Cadiz. Air-light breadsticks and astonishingly tasty pork, €4.50. Giant white asparagus with spicy ají mayonnaise (€5.30) that actually had some kick – a rarity in Barcelona. Then the fresh dish I mentioned at the start. Seasonal vegetables á la Bobo Pulpín (€9.80). Absolutely wonderful, a technicolour treat of crisp, fresh, texture-rich broad beans, beet, radish, snap peas, carrot, turnip and cauliflower. An Iberian ham croquette (€2.30) was overpriced and ever-so-slightly too oily, probably a little too salty too, but flavoursome and well textured, with no icky gluiness. Then the big hitters. Octopus Korean-style, with kimchee and cucumber (€9.50). A pleasant hint of heat, lots of flavour. Chinese octopus with bamboo shoots and sweet-and-sour sauce (€9.50), utterly delicious. Peruvian-style octopus: a squid-ink-bread ‘black sandwich’ of fried octopus and Peruvian anticucho sauce and coriander mayo (€4.80). Seriously good. Then the Spanish classic: Pulpo a la gallega (€11.60). Not messed about with in any way. Not reinvented. Not deconstructed. Not presented on a styrofoam sea shell, or a house brick, or a terracotta replica of the chef’s skull. Just amazing, tender squid, waxy potato, smoky pimentón, on a wooden plate. Simple and perfect. As good as I’ve had. There were callos (Spanish-style tripe) on the menu so I had to try them (€7.90). I’m glad I did. The litmus test was passed: sticky, gelatinous, rich, dotted with chorizo. They could take more spiciness but I won’t complain. Boneless, free-range chicken wings basted with spicy chipotle sauce (€7.20)were also winners. A hint of citrus lifted them to first-class category. I have friends who could sit and eat only these all night and be quite happy. Dessert was a dark chocolate ‘bullion’ cake (€8.80). It was fine. Too expensive, nothing special. As usual in Barcelona, dessert is the course to skip if you want to make more room for something really good. Bobo Pulpín fills a niche in the market I hadn’t even considered: family friendly, informal food of a very high standard. You don’t need to have kids to enjoy it, but any junior gastronauts who come here will be entertained and well-fed. As a parent, I know how rare it is to find somewhere that gives crayons to children AND serves uncompromisingly good food. Adults will also find a lot to enjoy, especially the fact that there’s something for everyone, which means groups of friends can eat together without anyone feeling like they’re missing out. The lighter dishes more than hold their own in the company of their classic tapas counterparts. Bobo Pulpín has pulled the pulpería into the 21st century. Review: Bobo Pulpín, C/ Frenería 5, 08002, Barri Gòtic, Barcelona; Tel. (+34) 936 39 32 13; Metro Jaume I; Open every day 12pm-11.30pm. 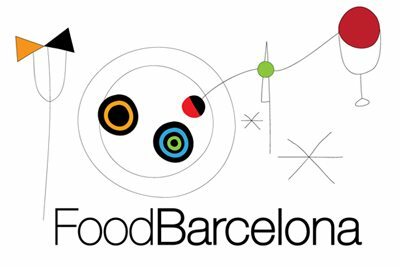 Find Bobo Pulpín first time with the FoodBarcelona map. Check out other recommended restaurants in Barcelona’s Barri Gòtic (Gothic Quarter). Good review! could you please clarify what does it mean “gluiness”? “An Iberian ham croquette (€2.30) was overpriced and ever-so-slightly too oily, probably a little too salty too, but flavoursome and well textured, with no icky gluiness.” I can’t find a meaning anywhere. Hi. Thanks for your comment. ‘Gluiness’ is a fairly common word with over 10,000 mentions on Google and multiple online definitions, so not quite sure why you couldn’t find it, but it means ‘the state of being like glue’. Hope that helps!